The commentary for this piece in the CNF Canon mentions a struggle “to be both objective and personal.” Sentences will use both “he” and “I” as pronouns, and “the handicapped man” is used as a kind of metonym when Bourne is probably talking about something intensely personal. 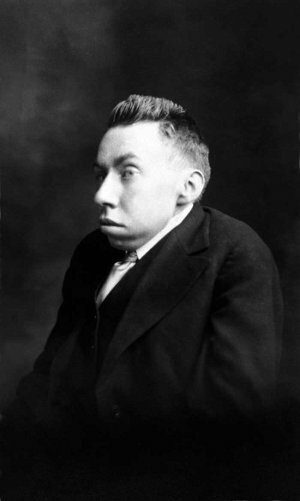 Randolph Bourne was born prematurely, and the doctor’s forceps deformed his face and the side of his head. Later on tuberculosis permanently bent his spine, making him a “hunchback.” His essay here which represents the 19-teens for the decadal canon list is appropriate since Bourne’s vocation as a writer was devoted to the USen Progressive struggles going on — first wave feminism, and reform for the education and treatment of immigrants and working class-families. The revised version can be found as the closer to his book YOUTH AND LIFE. The piece is also performing another struggle alongside public vs. personal. Bourne’s tone and diction is genteel and optimistic, not only bc of the mainstream style (it first appeared in the ATLANTIC) but bc the subject matter and the depth of Bourne’s radicalism actually made this writing dangerous business.